There's a lot of dos and don'ts when it comes to cooking with tin foil, but this sturdy insulator actually has more uses outside the kitchen! 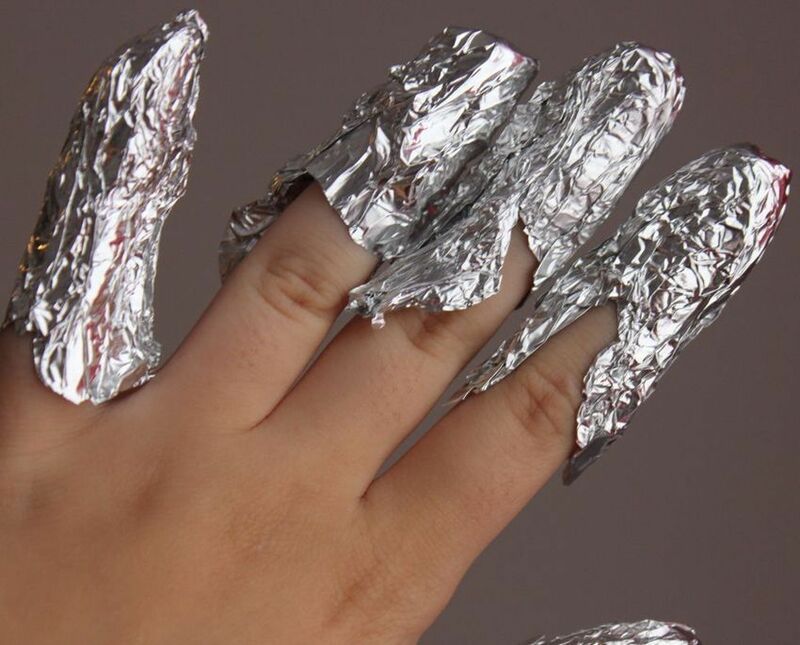 We know aluminum foil is great for dying hair and keeping your food warm, but there are loads of other clever uses that can save you lots of time and money. 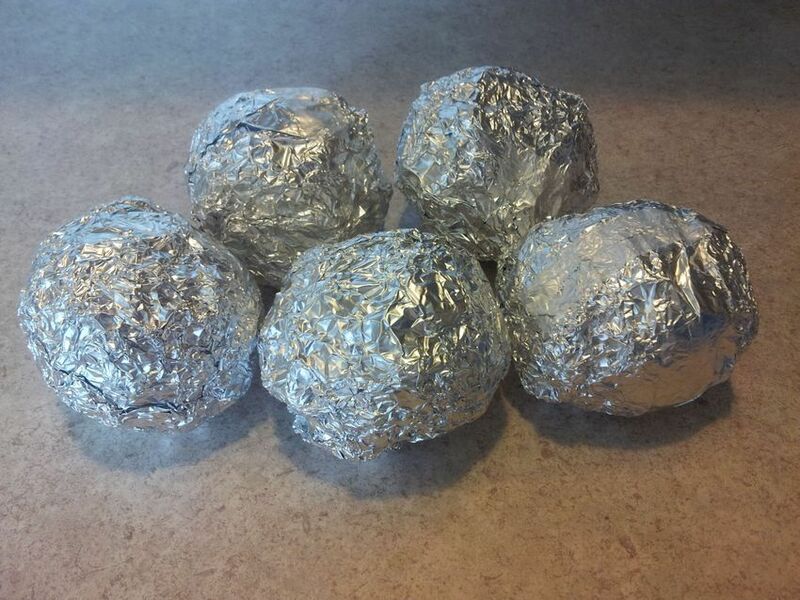 Check out these 15 unusual ways to make the most out of a roll of aluminum foil! Aluminum foil is believed to be effective in easing back, arm, neck, leg, heel and joint pain. 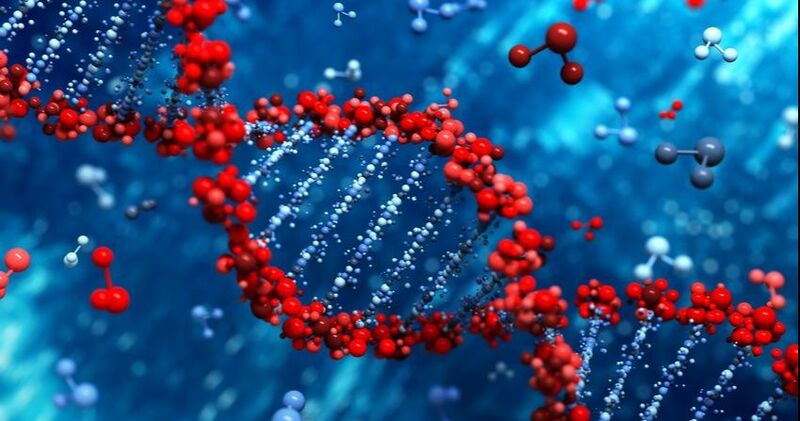 It's also believed to relieve sciatica, rheumatoid arthritis, and gout. Simply wrapping affected areas with tin foil and leaving it overnight will ease the discomfort you've been experiencing. I tried this treatment for two weeks on my heel and noticed a dramatic difference. I have to be honest though, sleeping with tin foil is not easy, but it helps to keep aching areas warm and comfortable. Dryer sheets are filled with chemicals. So if you're looking for a natural alternative or just want to spend less money on those sheets, roll up tin foil and toss it in your dryer instead. Aluminum foil eliminates static electricity from your clothing, even when it's not in the dryer. Rolling up a sheet and rubbing it on your clothes will remove static almost immediately! Wire-bristle BBQ brushes are extremely hazardous for your family's well being. Protect yourself this summer by throwing out your brush before the bristles come loose and get stuck on your food. 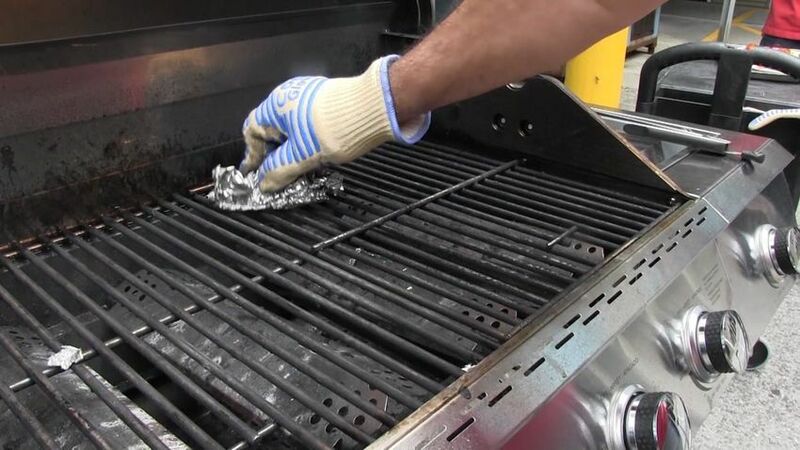 Instead, use foil to scrub off the grill rack and remove fat build up. In my experience, tin foil is not only safer, it's also as effective as a generic grill brush. 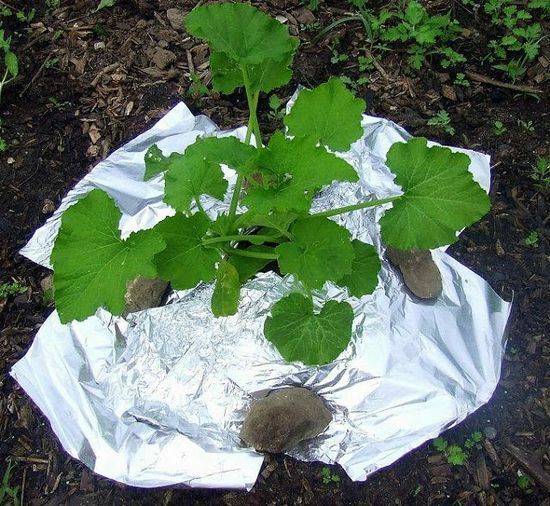 According to Instructables, aluminum foil can scare off birds that want to eat the fruit in your garden, keep slugs and bugs out of your soil, and makes the perfect sun box. The trick to keep slugs at bay is to place foil over your weedblock. Just make sure the shiny side is down. In terms of the sun box, use foil to reflect light back to your plants if you don't have time to rotate them. 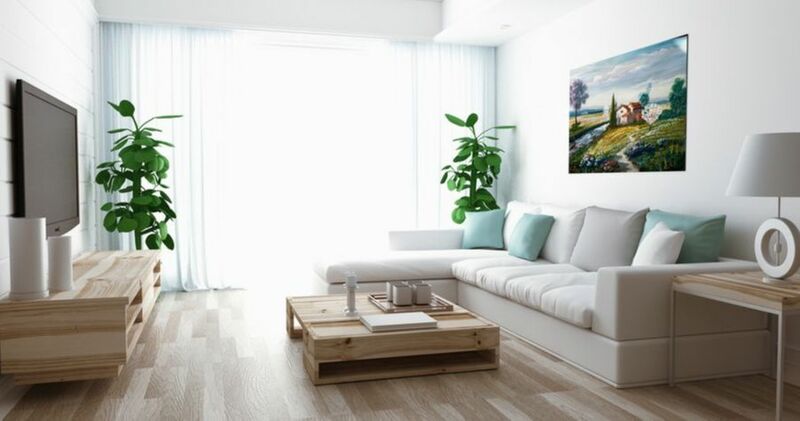 All you have to do is know when and at what angle the sun shines into your home. This is the first aluminum foil hack I learned and I still use it to this day! I love ironing my clothes, but I hate how much time it takes. 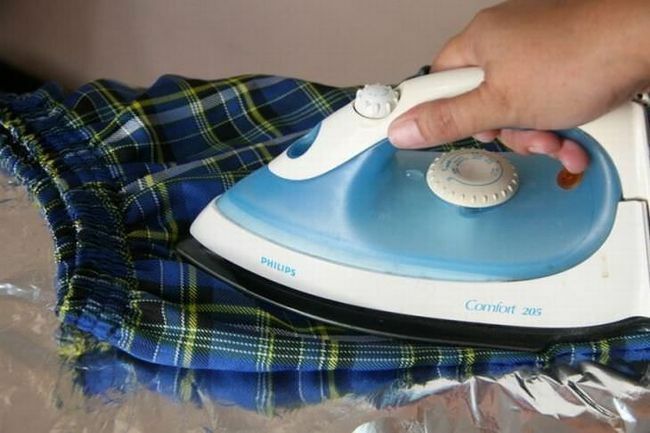 If you want to cut that time in half, place a sheet a foil underneath your clothes while ironing. This will iron both sides of your clothes at once and will keep the material crease-free. Here's another ironing tip: When the metal of your iron starts to rust, remove the rust with a sheet of tin foil. 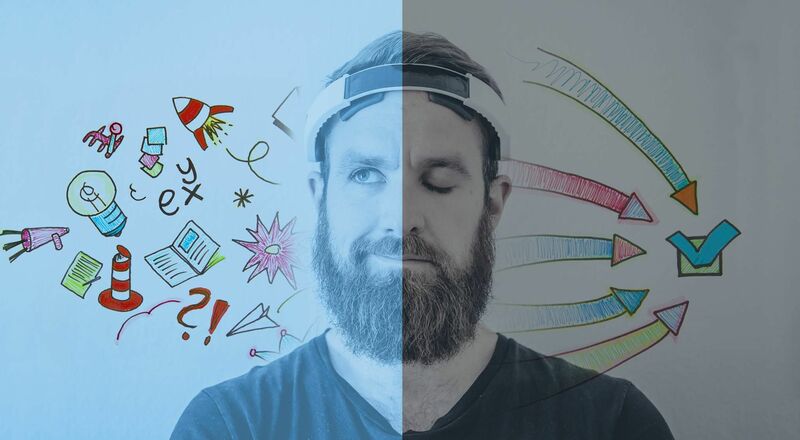 I'm sure we all own a funnel, but it's unlikely that we all own funnels of many different sizes. 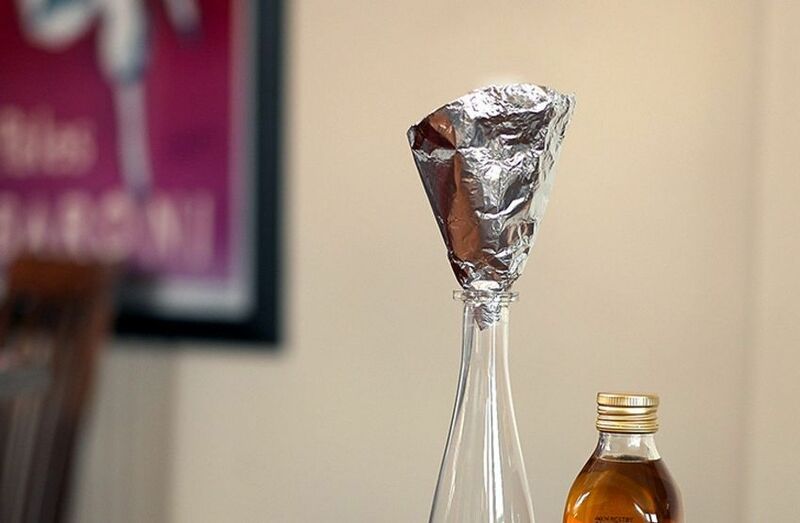 To prevent yourself from having to clean up a spill, mold a sheet of tin foil into a funnel shape. Aluminum foil is quite sturdy so you don't have to worry about it falling apart. 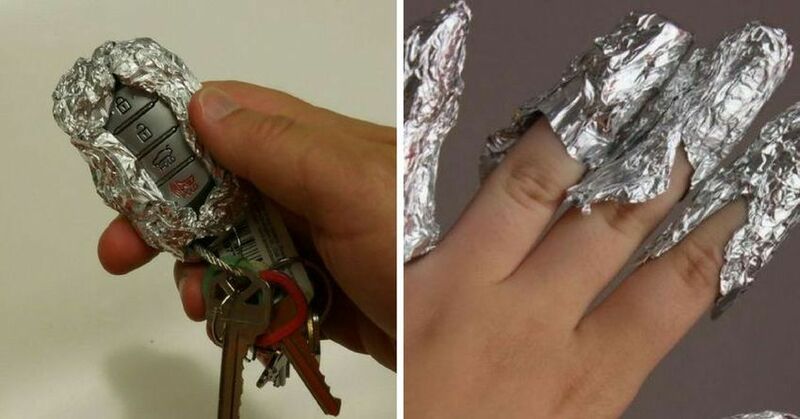 Another tin foil hack that blew my mind was this one! Batteries cost a lot of money, so it's in your favor to remember these two hacks below! You can turn AAA batteries in AA batteries by placing a small piece of rolled tin foil at the positive ends of your electronic devices. 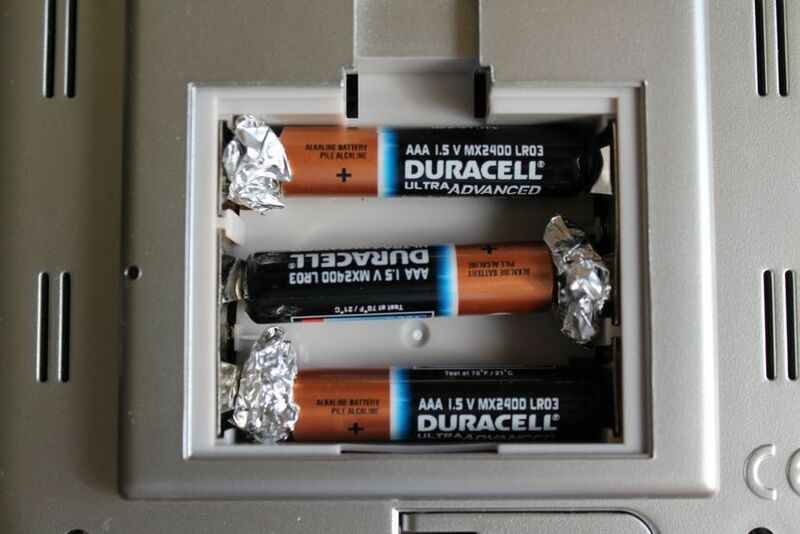 Aluminum foil will also help to hold loose batteries in place. There's a simple solution to all this, and it starts with a sheet of tin foil. First lay some aluminum foil down in a shallow pan. Then pour hot water and a bit of salt and baking soda. Place your silver items and wait at least five minutes. 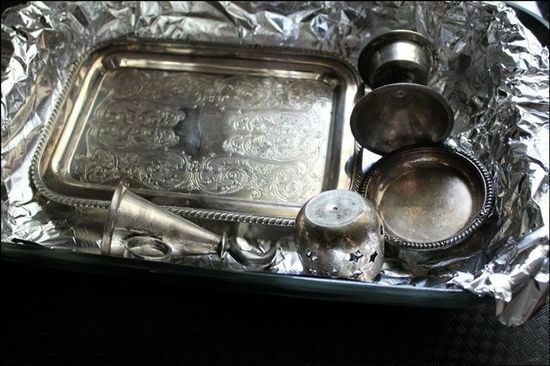 Rinse your silverware and dry them with a soft towel. They'll look as good as new! Aluminum foil isn't going to make your scissors as sharp as a katana but it will help to bring it back to life. 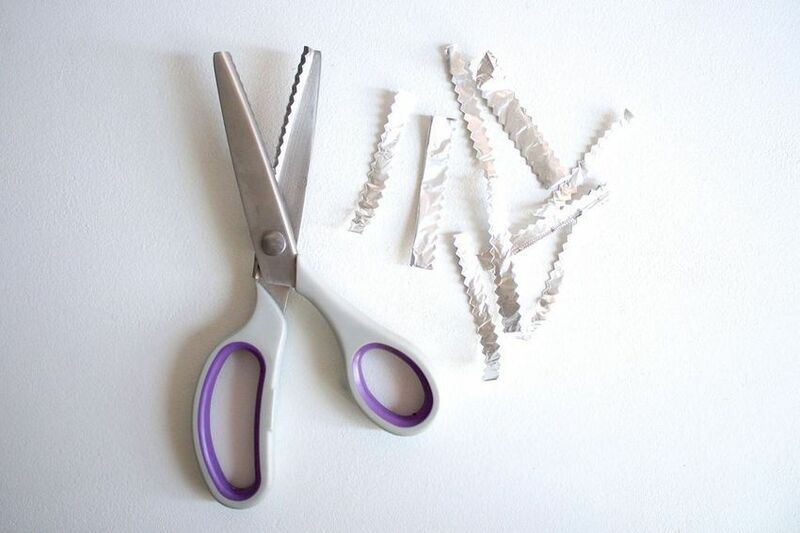 Simply cut a few pieces of foil with your dull scissors to sharpen them up. We live in a digital age, whether we like it or not. 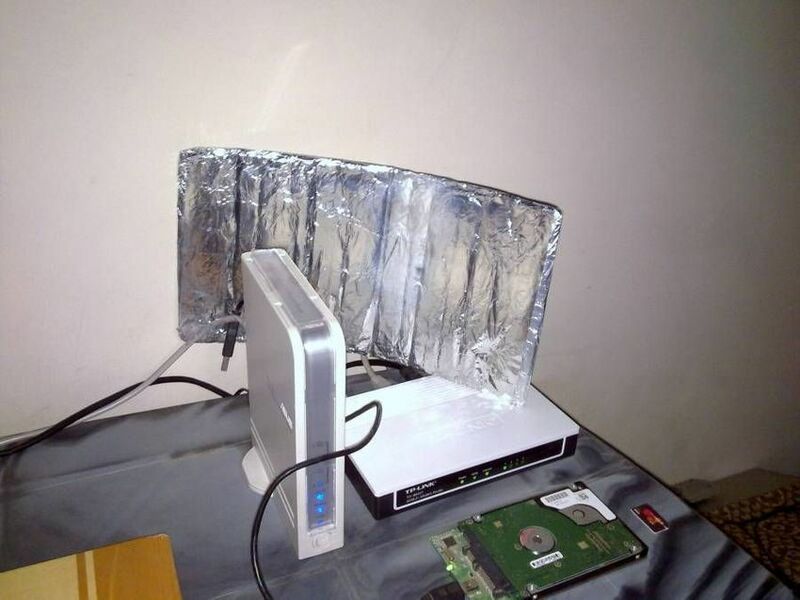 If you're not willing to spend the big bucks on a good WiFi router, use some aluminum foil to boost your signal. All you have to do is fold a piece of tin foil into a small rectangle and place it behind the router. There is a way to make pictures as perfect as their moments. 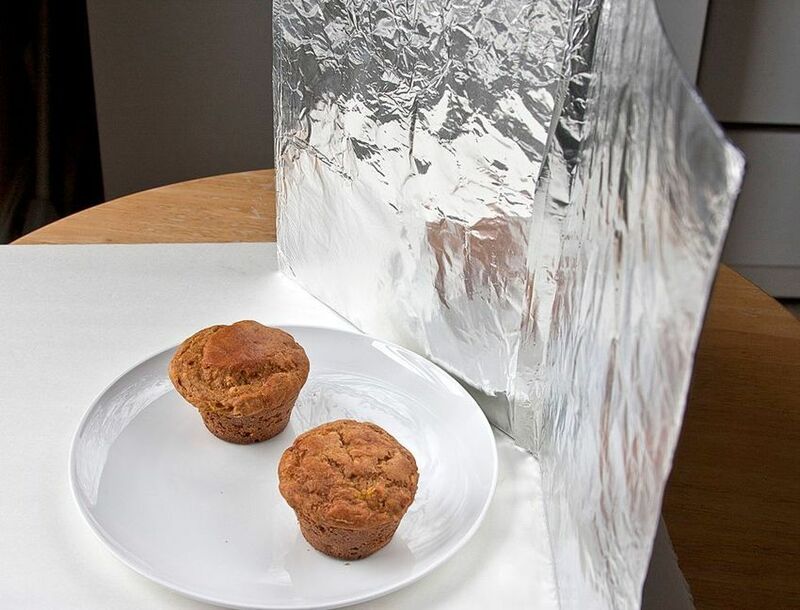 Just like how aluminum foil can make a sun box, it can also reflect light when taking photos. Simply fold a piece of tin foil in whatever shape you like to reflect the rays of the sun. Moving heavy furniture around your house is not easy. 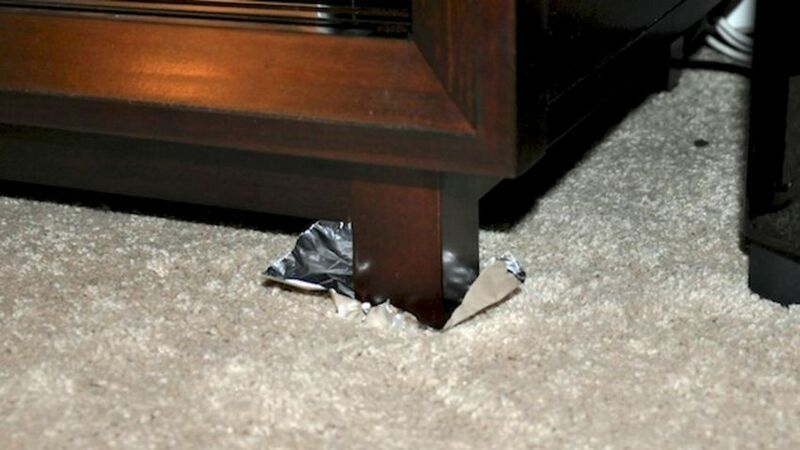 If you have carpet floors, place a piece of tin foil under the legs of your furniture to glide them on the carpet. If the tin foil won't stay in place, tape it to the furniture. If you have a modern vehicle that turns on by simply pressing a button on your car key, then you're at risk of having your car stolen. Security experts say keyless fobs can be easily compromised when thieves amplify the signal of your fob to make it turn on. 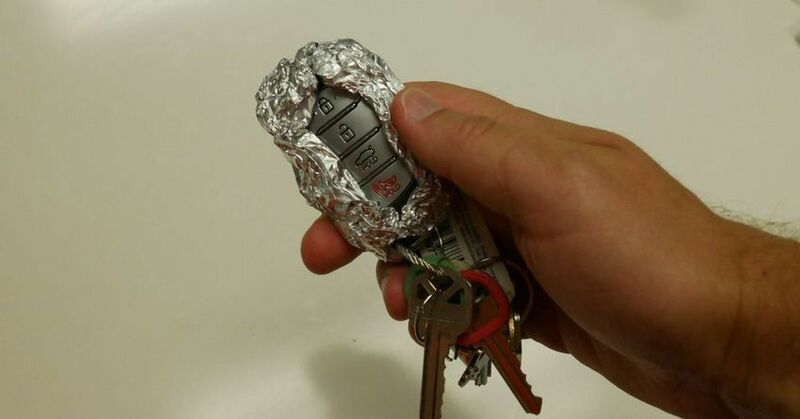 Wrapping your car keys in tin foil is an inexpensive way of blocking the electromagnetic fields. For better protection, you can purchase a Faraday Bag on Amazon for only $9. Line the inside of your slow cooker with tin foil so that everything inside cooks evenly. Another reason why I love this hack is because once your food is done cooking inside the aluminum foil, you don't have to spend much time cleaning the inside of your slow cooker! When brown sugar is exposed to air, the coating of molasses will evaporate, causing the sugar crystals to form into rock-solid lumps. 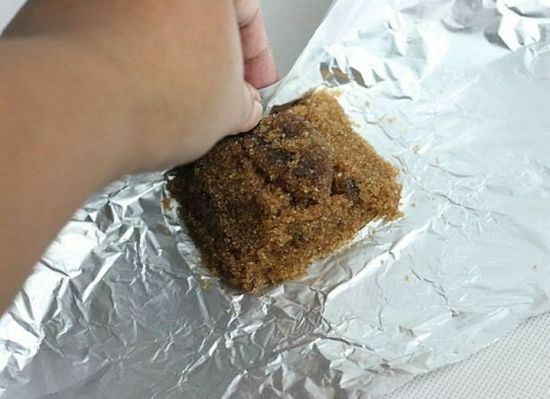 The fastest way to get your brown sugar soft and malleable again is to wrap it in tin foil and put it in the oven. Bake at 300 degrees for no more than five minutes. 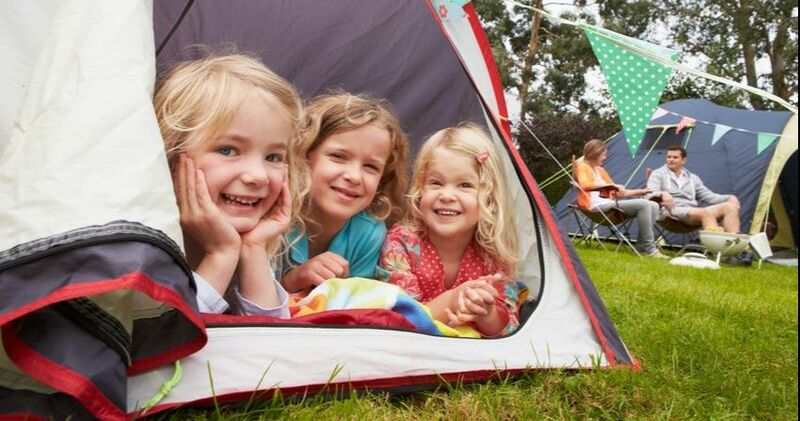 Share these hacks with a friend and help them save time and money! 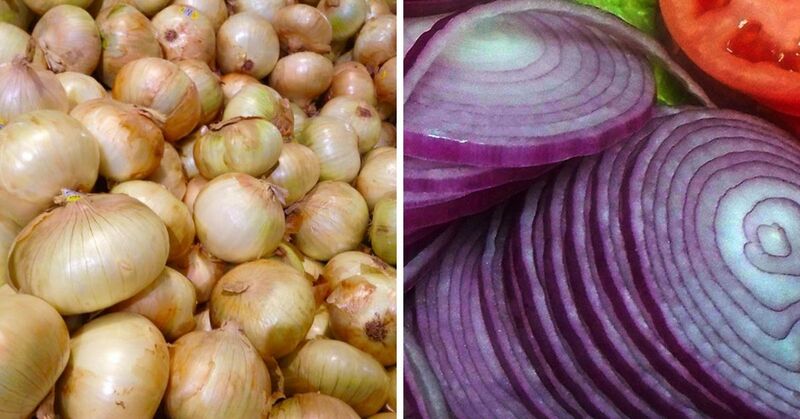 For more interesting hacks, check out the ones below! 1. 15 unlikely uses for Vicks VapoRub that will solve your biggest problems. 2. 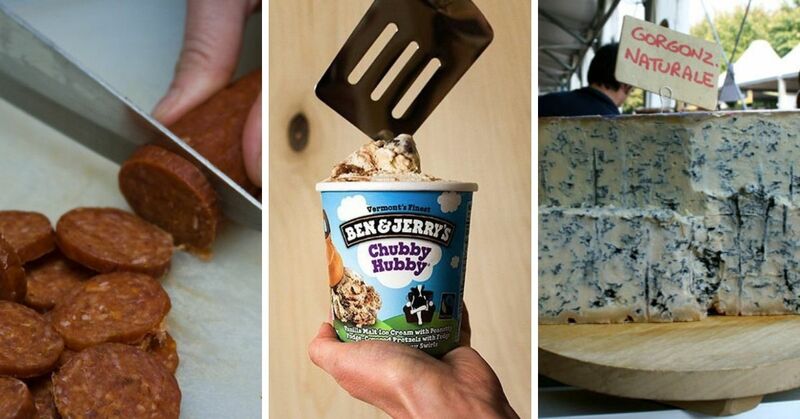 12 ways to use plastic wrap that'll transform your life. 3. 16 rubber band hacks that will stretch your imagination.